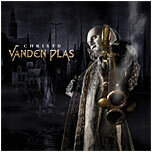 I have been waiting for a new Vanden Plas album for four long years since the 2002 opus Beyond Daylight. In the meantime I got Abydos in 2004 (vocalist Andy Kuntz’s side project) and some guest appearances but the wait is now over and every progressive metal fan can rejoice: Vanden Plas are back in the spotlight and back at the top of the European metal scene. A die-hard fan of the band since 1997, the release year of the extraordinary The God Thing, I have been following these Germans career closely and I must admit that they have yet to fail at delivering an average or a sub-par album. With the same line-up since the release of the debut album (Colour Temple) back in 1994, based on the impressive musicianship and the undoubtedly talent of the quintet, the band has improved and develop their style continuously, managing to make each album new and interesting, avoiding repetition or a copy/paste type of composition yet staying in the mainstream of the European progressive metal style. Benefiting from one of the best voices in metal these days (and one of the most recognizable), Andy Kuntz manages to sound at times mellow and soft and at times powerful and deep, raised above the music phrasing, delving into complex musical harmonies. His emotional and open voice, with a slightly nasal tone is one of the main driving forces of Vanden Plas. His voice is right in the middle of the sound mix, the melodic lines sung with full confidence and balance. Not once on the entire album does Andy Kuntz voice sound rushed or overpowered. The second driving force behind Vanden Plas is the guitarist extraordinaire Stephan Lill. Heavy, crunchy, driving the sound with his complex guitar technique, Stephan Lill became one of the most valuable axe men in the business. Petruccian guitar solos, full speed but crystal clear, that you can actually identify each note, epic phrasing or complex progressive pace shifters, you can find it all in this album. Stephan’s brother, drummer Andreas Lill together with the bass layer Torsten Reichert create a very solid foundation for the multilayered compositions, and Günter Werno (keyboards/piano) is back to the good old The God Thing days of keyboard attack, creating an incredible atmosphere or soloing together with the lead guitar. A concept album, based on Alexandre Dumas’ novel The Count Of Monte Cristo, it has a more orchestrated, more complex sound, with epic sounds, but enough diversity among the songs that can satisfy even the toughest critic. Straightforward progressive songs as the opener Christ.0 with its perfect guitar solo, or the powerful Shadow I Am with the drums changing the pace, with the soaring bass lines and its unusual keyboard wailing mix perfectly with softer parts as the complex Silently that starts with a quiet piano line that turns fast into a guitar driven song quieted down by the lovely soft vocals and dreamy keyboard lines, exploding towards its second half into a keyboard sustained three minute long instrumental part with incredible drumming, electric or acoustic guitar and keyboard solos. The balladesque Fireroses Dance has everything a power ballad should consist of, inspired piano opening, quiet but oh so beautifully vocal lines, slowly building to an anthemic song, melancholic, enhanced by the clear audible bass complex riffs and the string ensemble, halfway through turning into a huge guitar/keyboard duel with choir lines in the background. The 9 minute-long Wish You Were Here is a theatrical display of capabilities and talent, a story within itself, led by guitar riffs, complex arrangements, piano interludes, with Andy Kuntz’s voice leading the story. The alert paced Somewhere Alone In The Dark presents us again with terrific drumming, keyboard rhythm changes, preparing the way for the most complex track on the album, January Sun a 10 minute epic composition featuring a 40-piece classical orchestra, blending to perfection the metal sounds with the classical ones, raising and lowering the intensity of the sound, again soft, almost poetical vocals mixing with orchestration and piano leads, then changing into a progression of guitar hooks, rolling drums with complex changes or bridges. Lost In Silence is the closer of the story, a conclusion of the facts, a soft combination of piano and guitars, with subdued drums and lovely lyrics. Perhaps it’s too soon to hand the yearly awards, but this album will definitely be one of my strongest contenders for the Album Of The Year awards. No metal fan should skip this one. If you do, you will be missing an extraordinary piece of art.